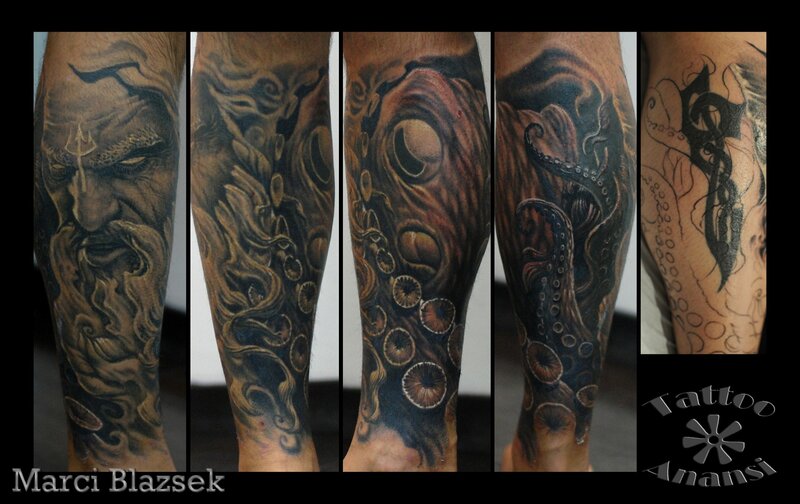 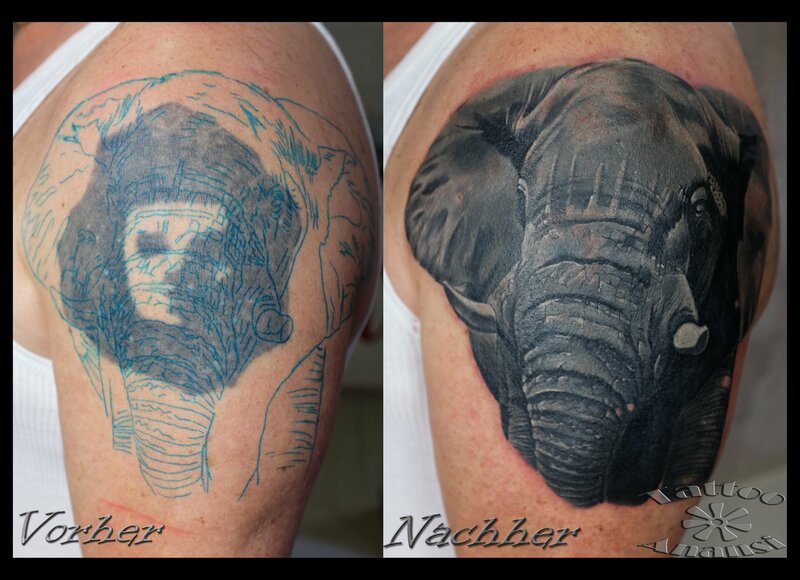 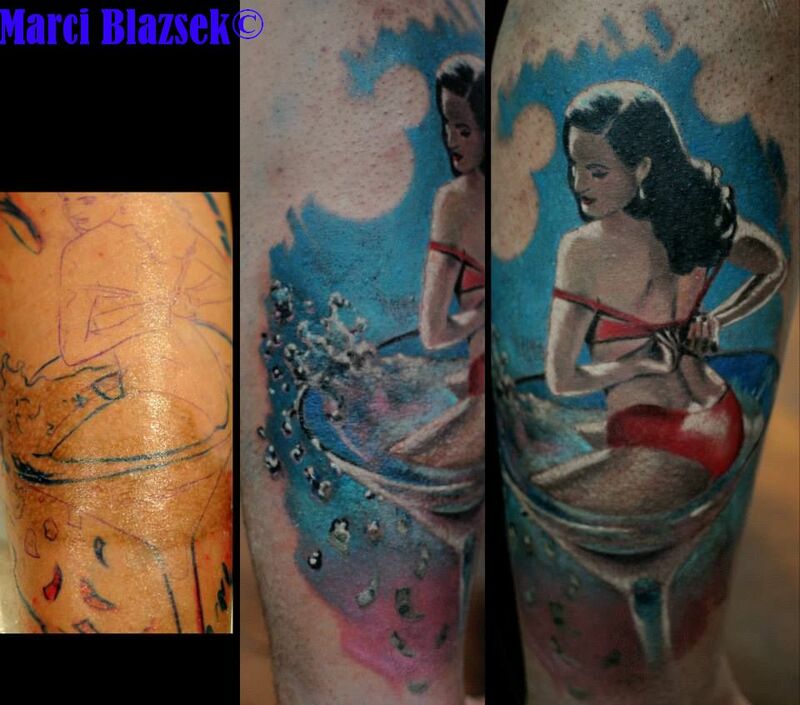 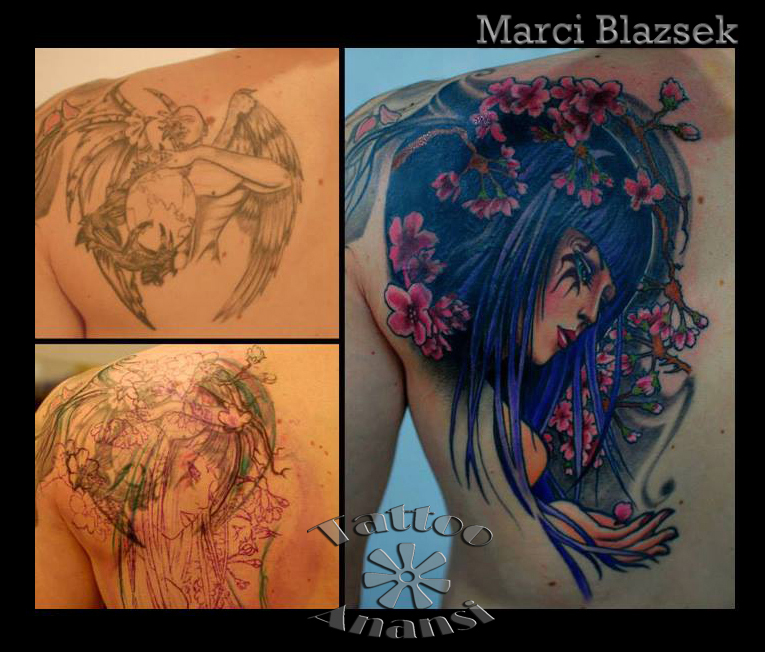 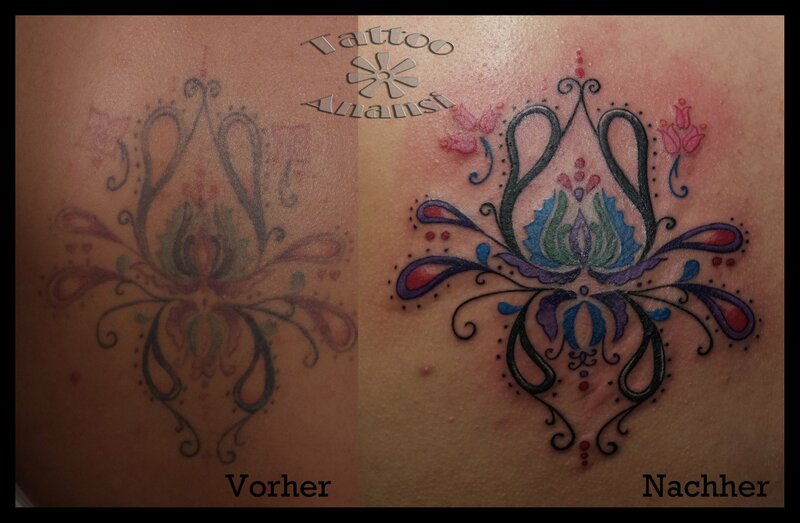 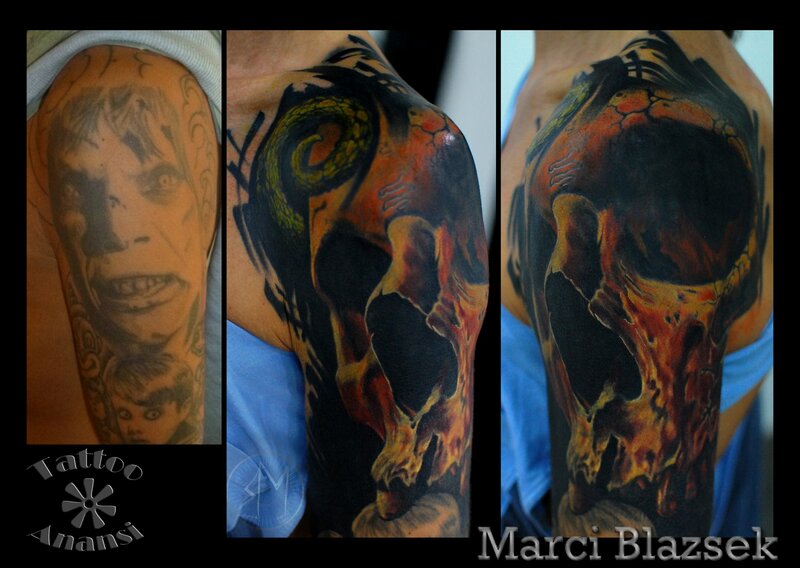 Your Chance for a cool Cover-Up! 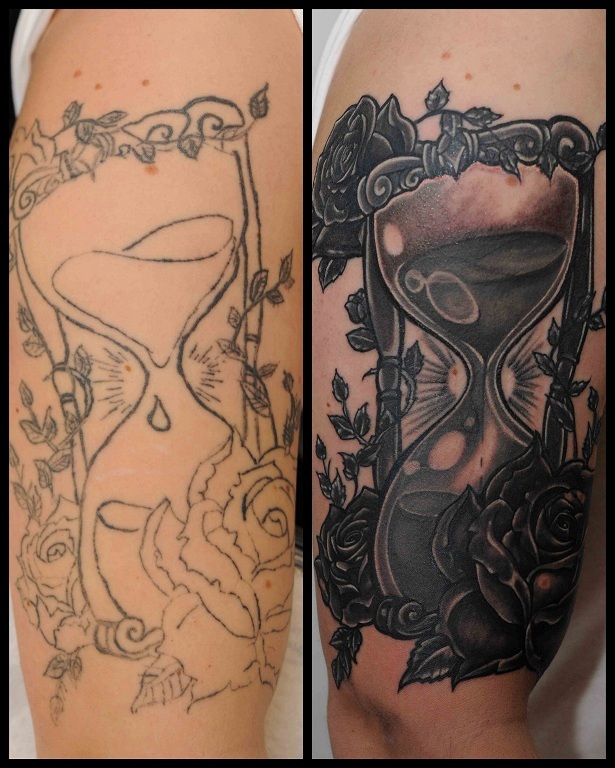 The demands for cover-ups are high – especially for black & grey’s. 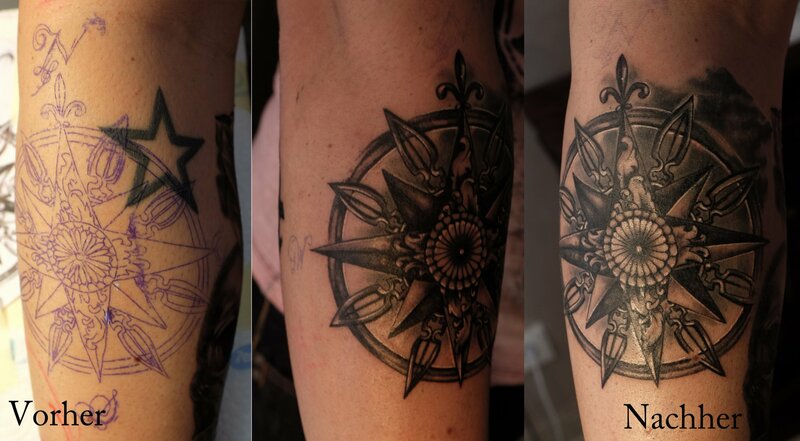 We are always happy to help – because not all hope is lost. 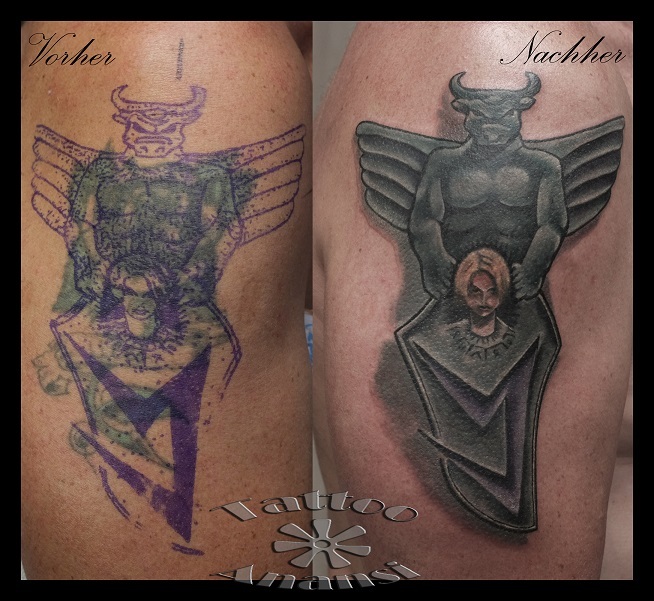 After a detailed consultation, a new idea often emerges, and after the cover-up has been made – from our experience – the clients are always very happy. 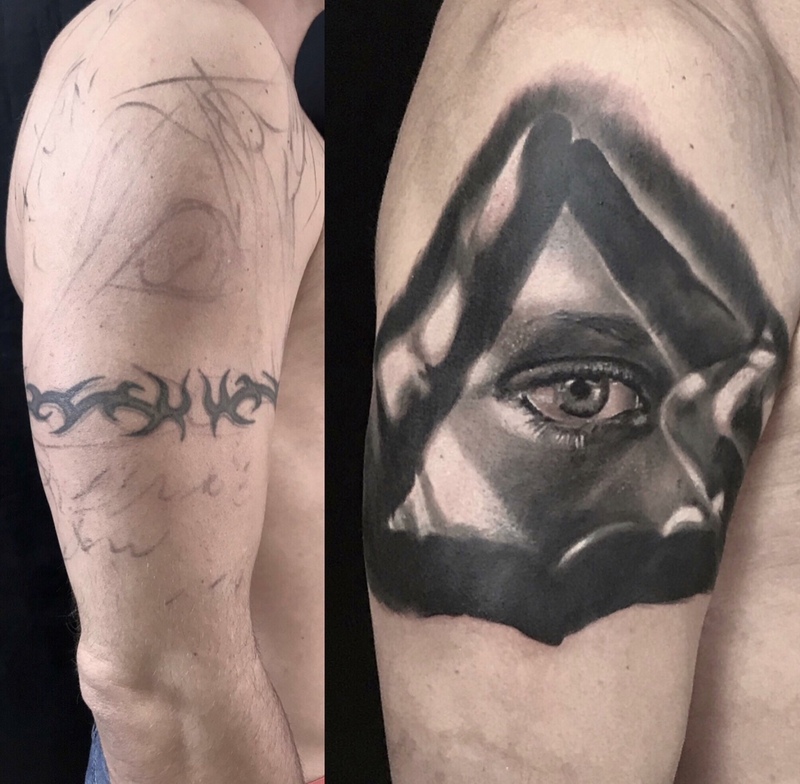 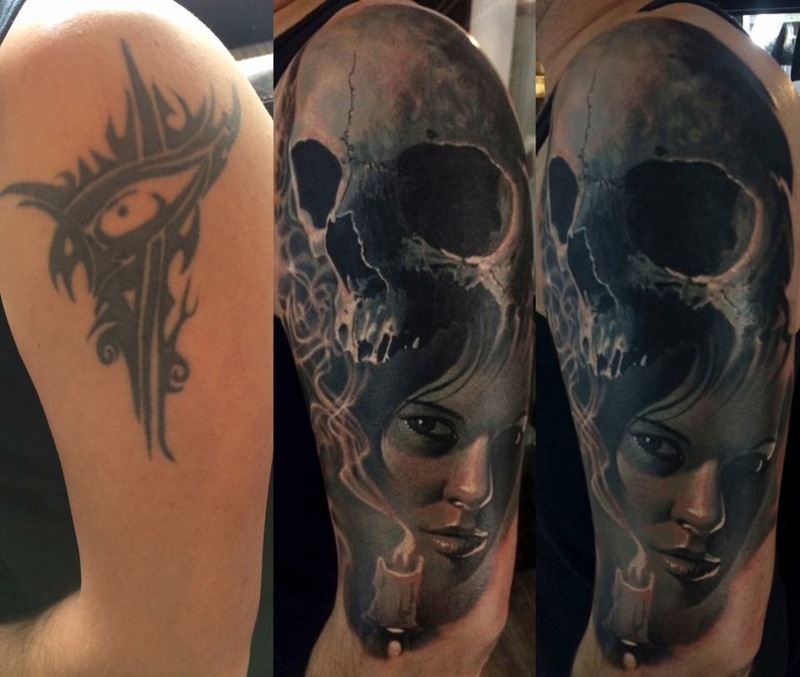 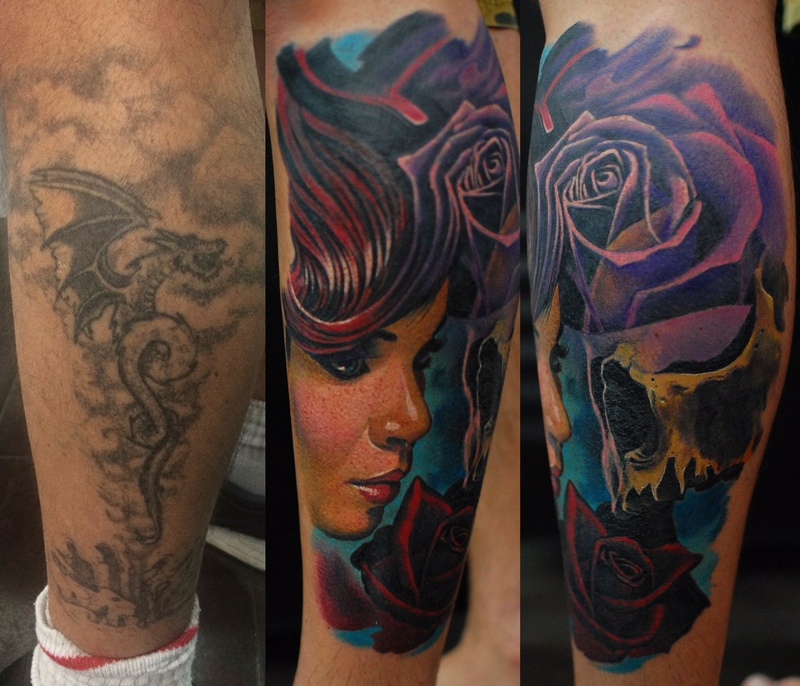 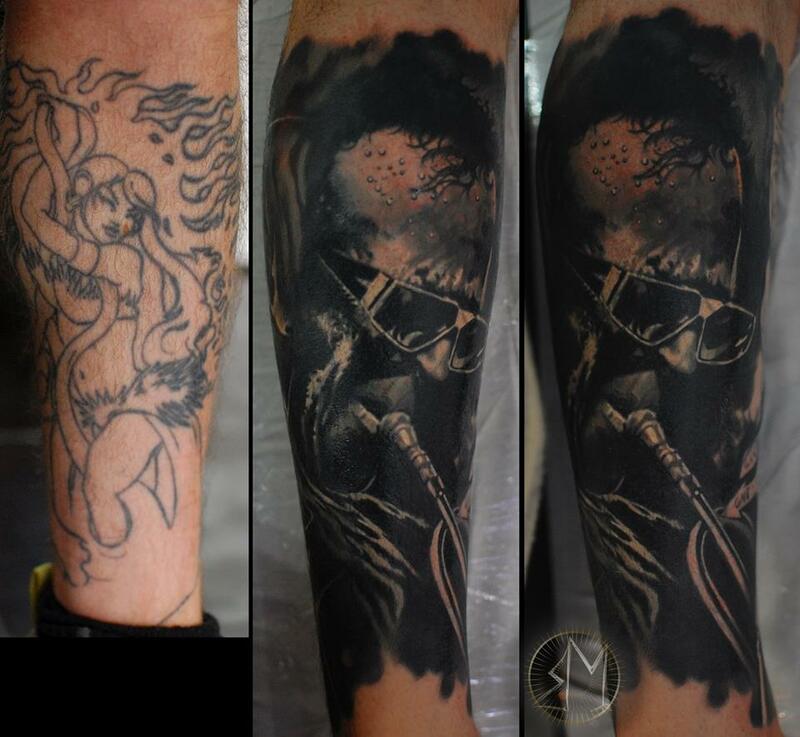 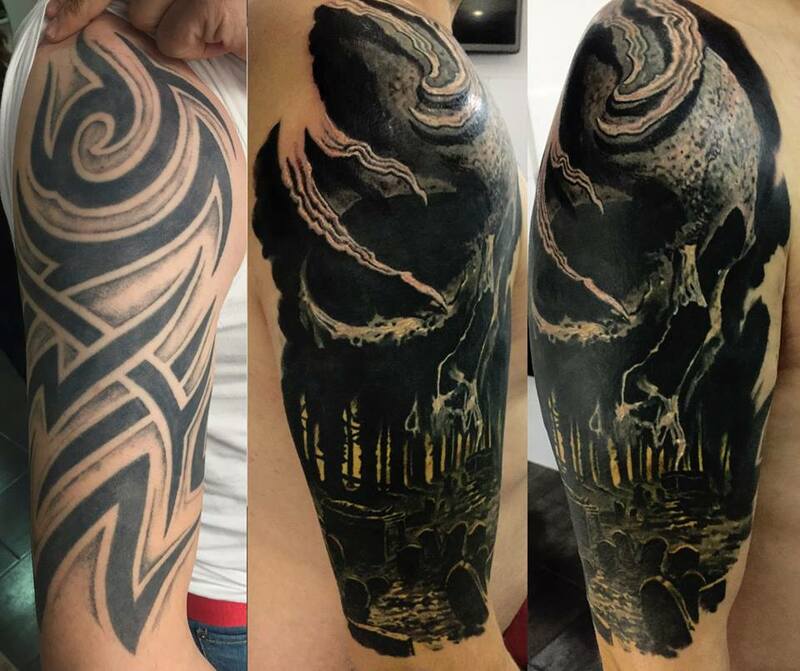 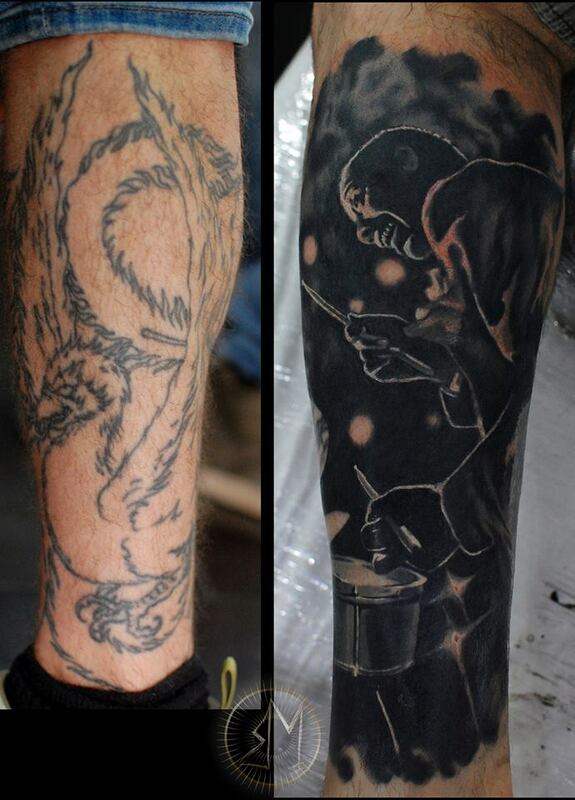 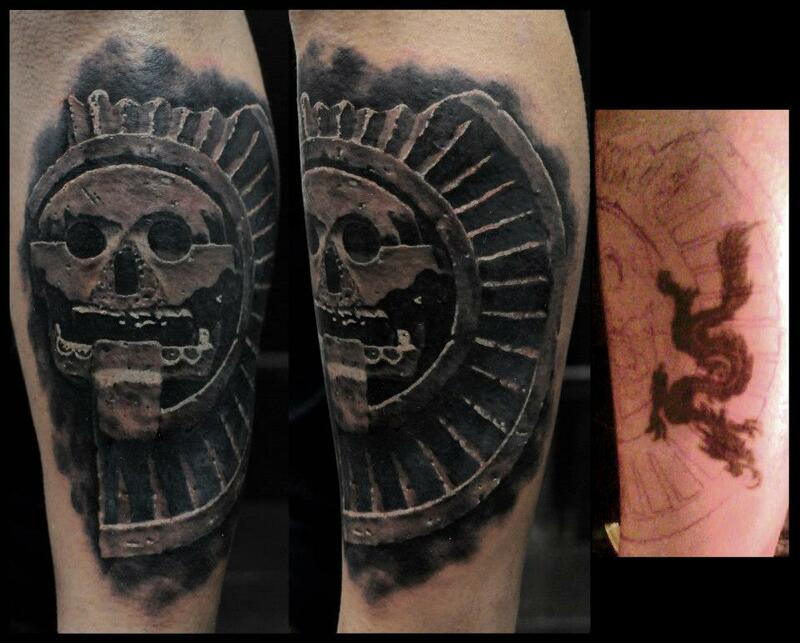 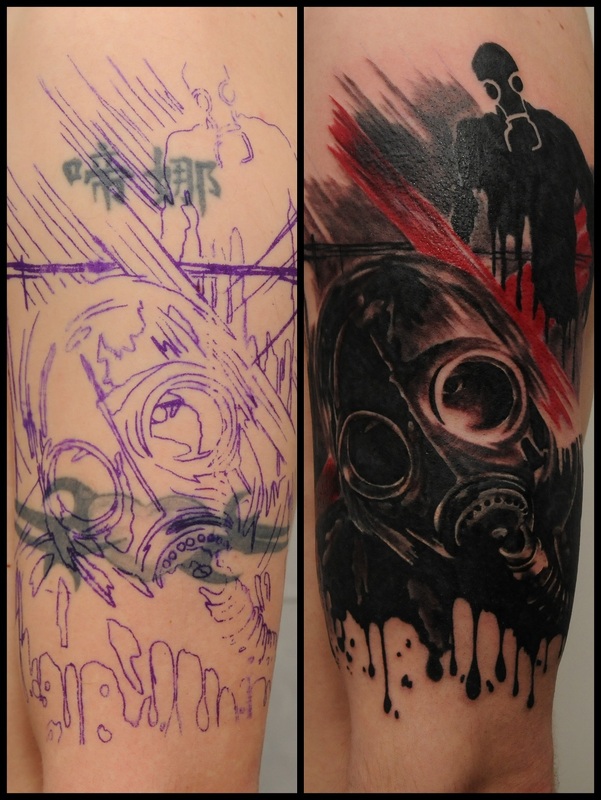 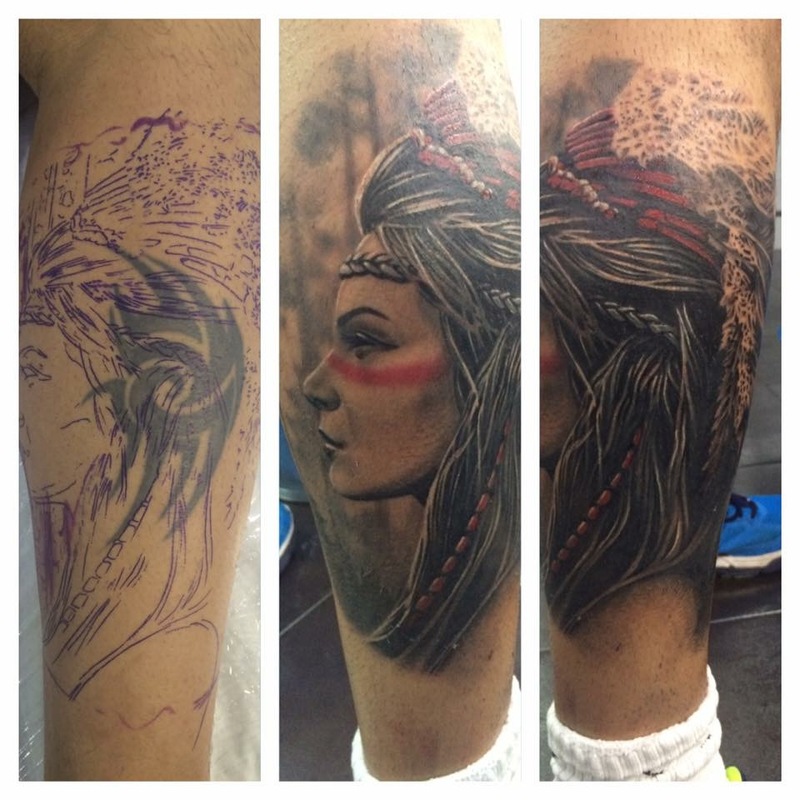 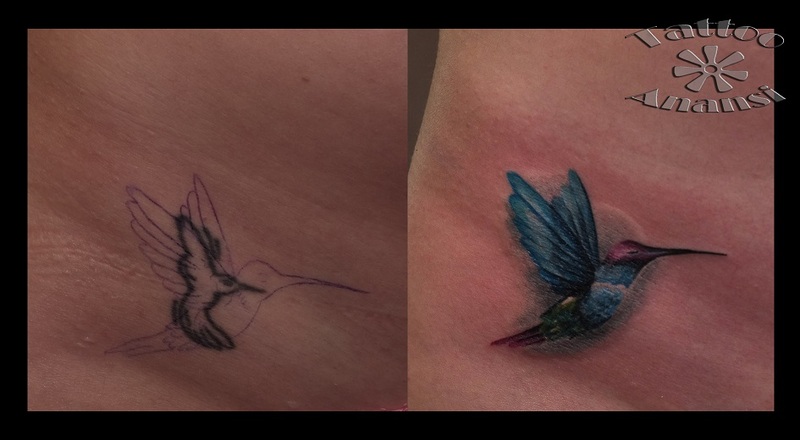 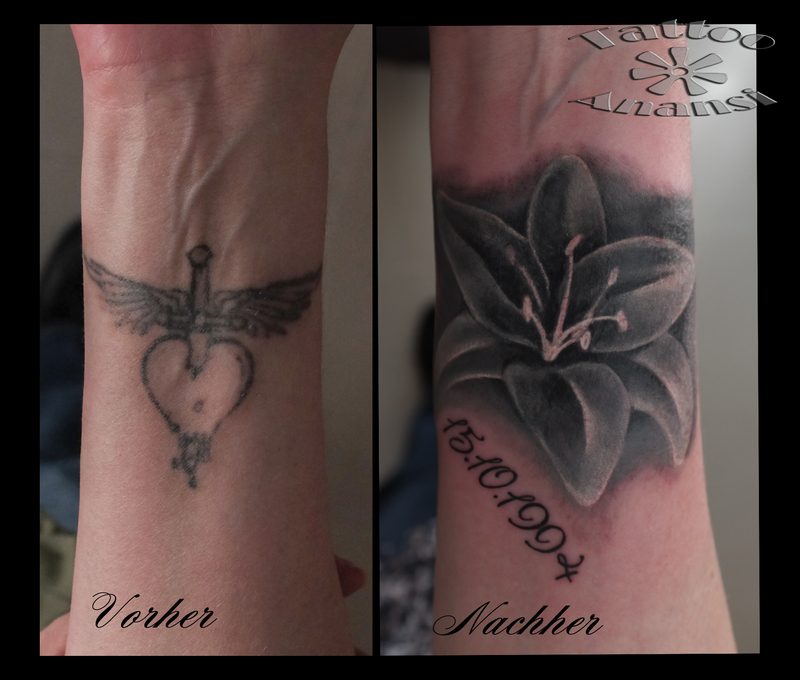 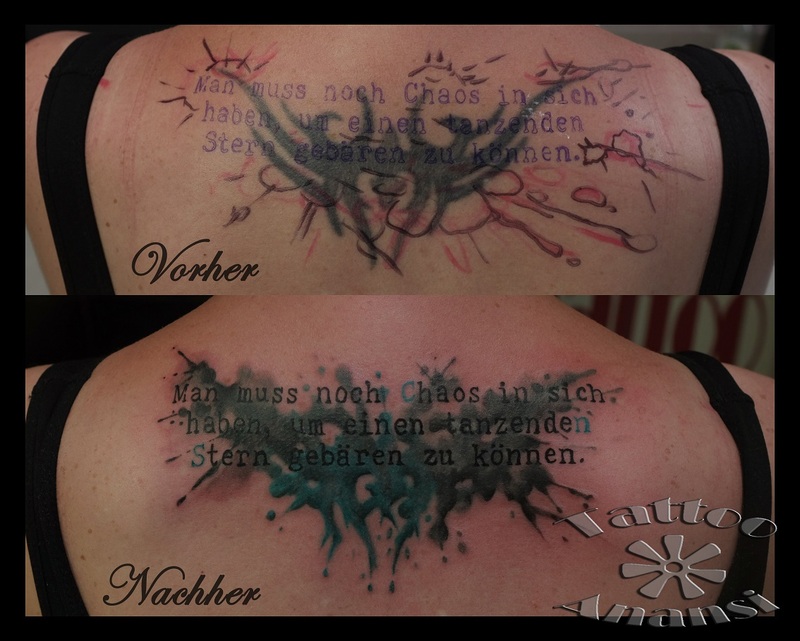 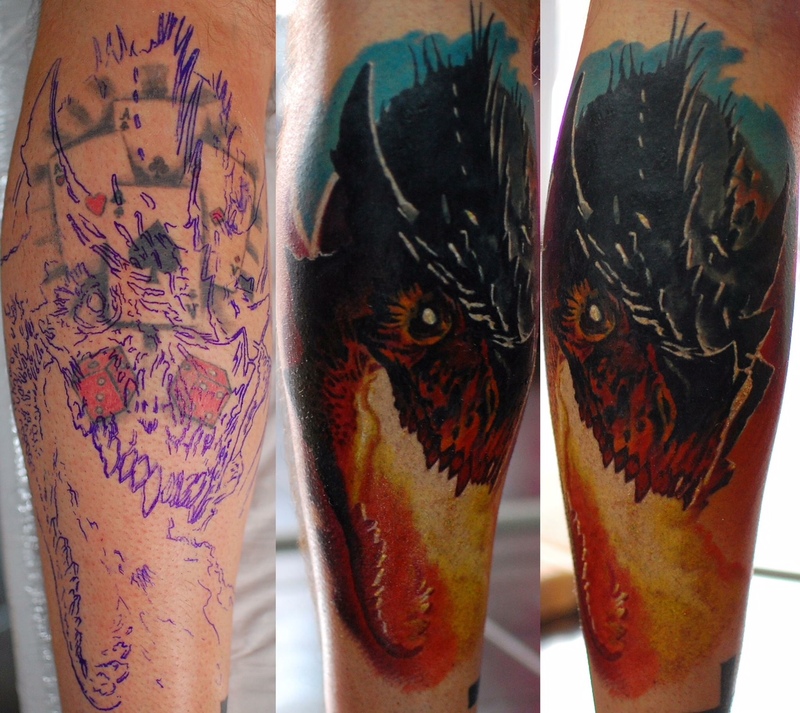 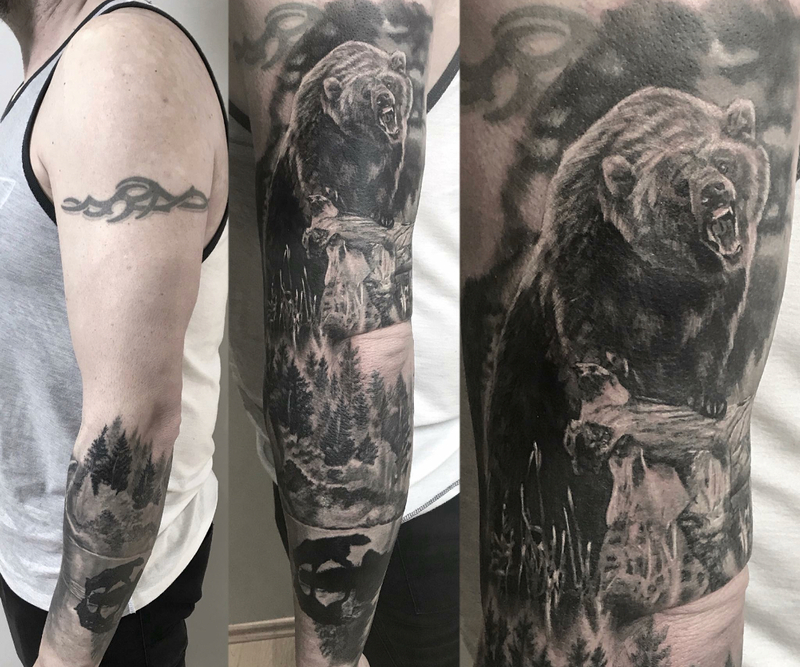 We have excellent experience in doing cover-ups, and have gotten incredible positive feedback from our customers – which makes us even more motivated to turn any tattoo failures/regrets into real art you are proud of. 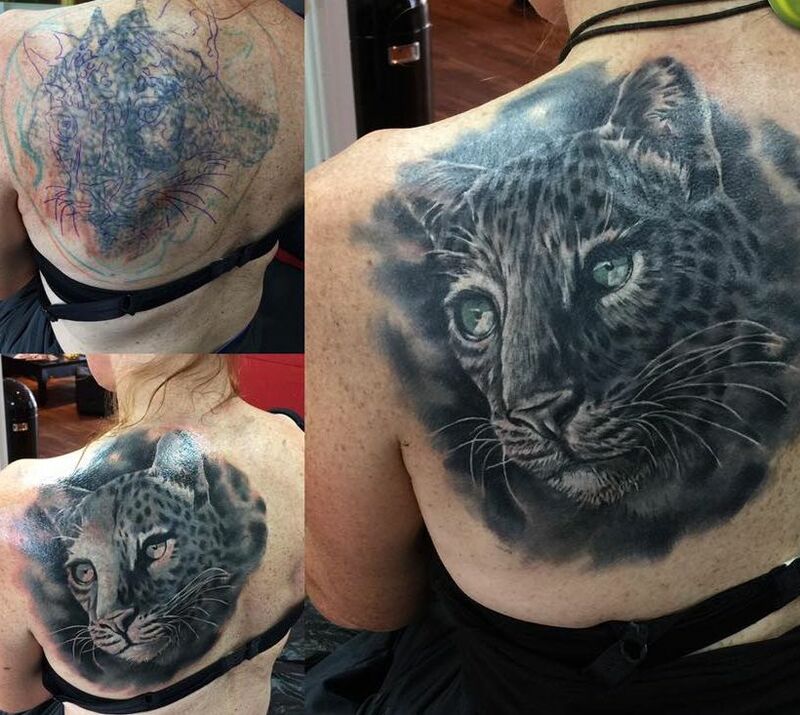 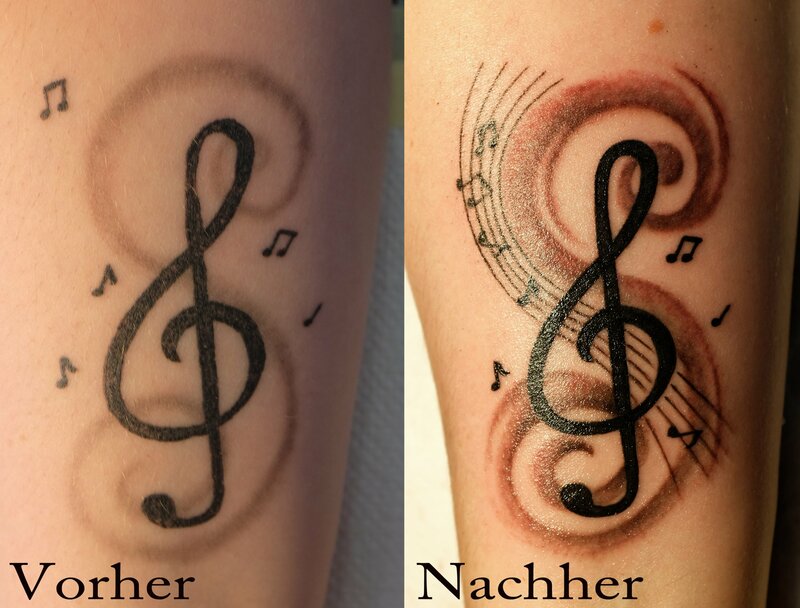 You don’t need to feel bad when you’re tattoo isn’t looking great and needs a correction. 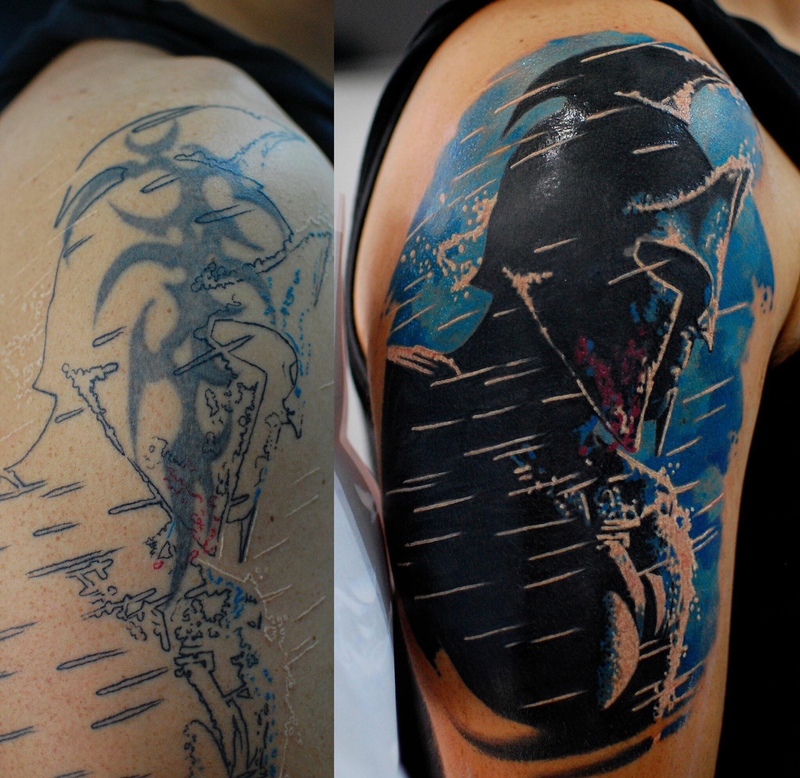 Even if you made a regrettable, spontaneous or premature decision to get a tattoo. 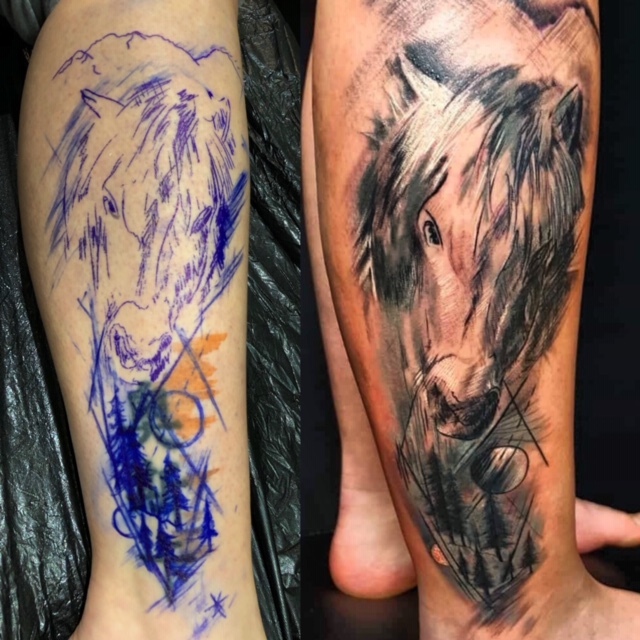 Times, people, attitudes change – the paints and tattoos today are also at a completely different level to how they were from just a few years ago. 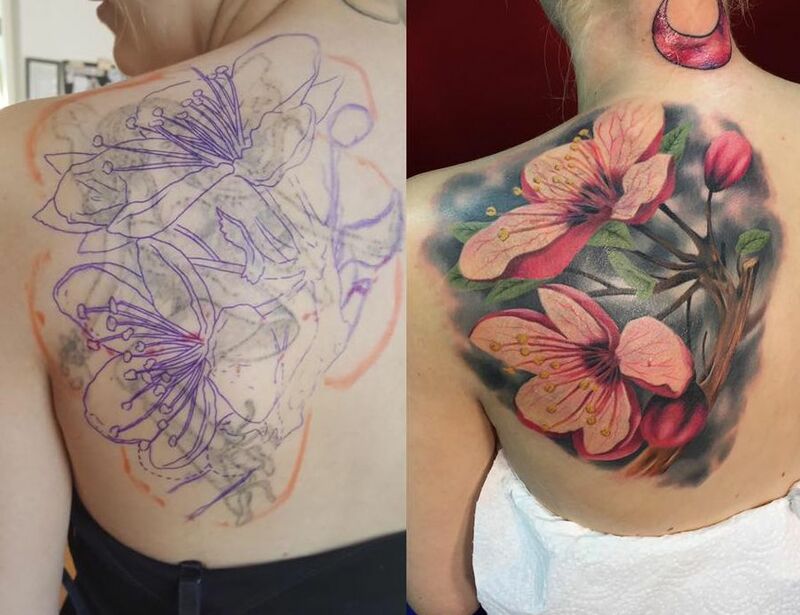 With a lot of creativity, incredible tattoo techniques and even more experienced artists, we will help you feel comfortable in your skin again. 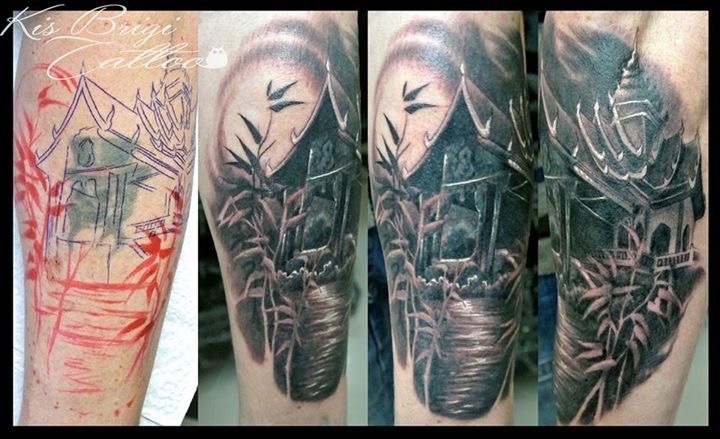 Cover-ups have always occupied a large part of our appointments. 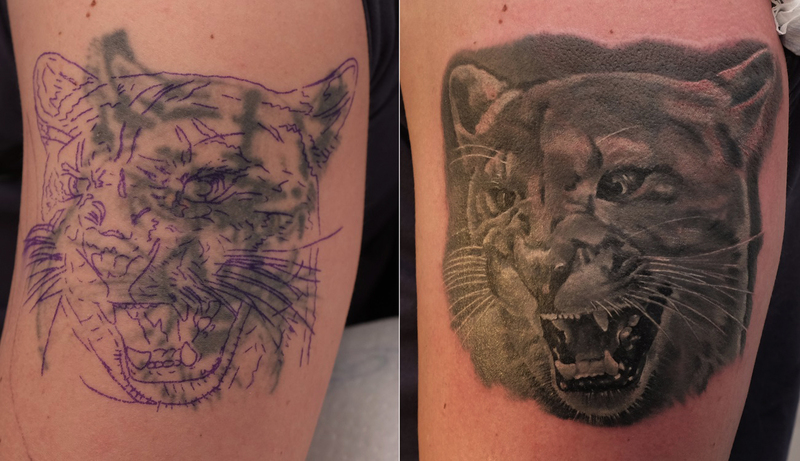 We have profound knowledge in this area, and the best technical skills that really speak for themselves. 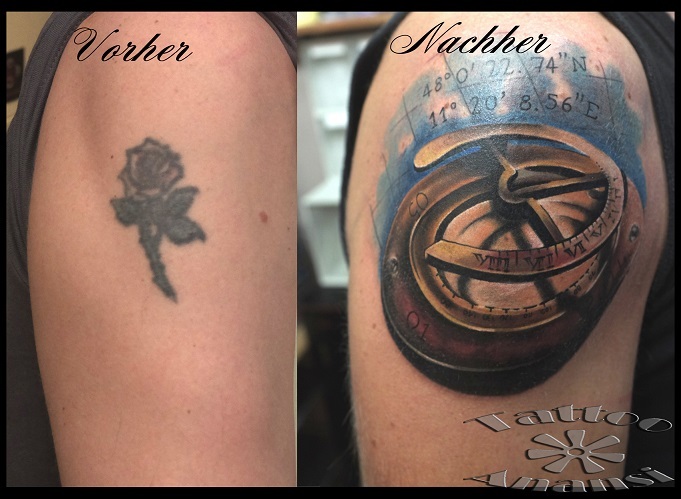 If you have any questions regarding your old tattoo, or if you just want to beautify your old tattoo: turn to us with ideas and suggestions. 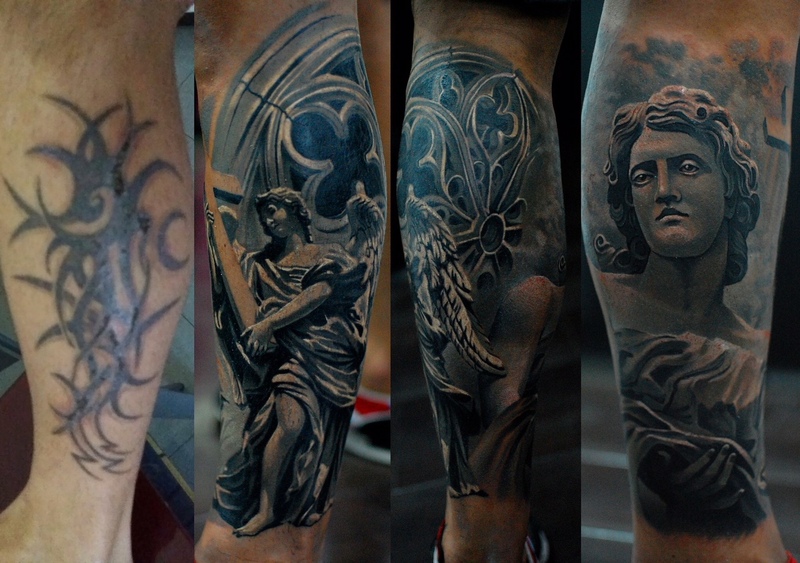 It would be best if you came by so we could take a look at everything. 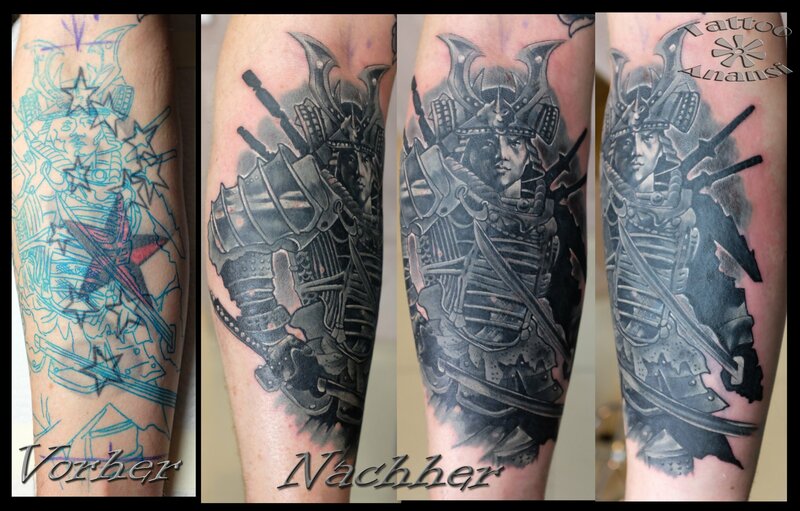 If you are from outside of Munich, send us an email with your pictures and ideas! 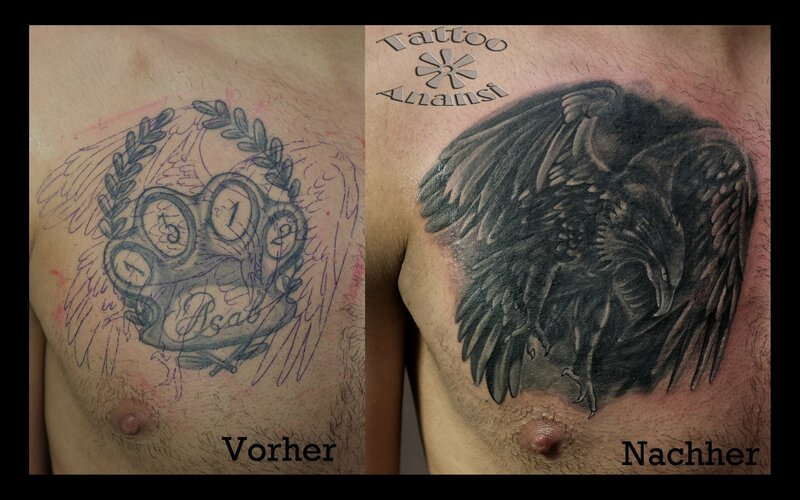 We are looking forward to helping you.